So, I know this is really random, but I made this tiny hat a long time ago, and today I let my sun conure, Peanut, play with it. He loves to munch crocheted yarn for some reason. 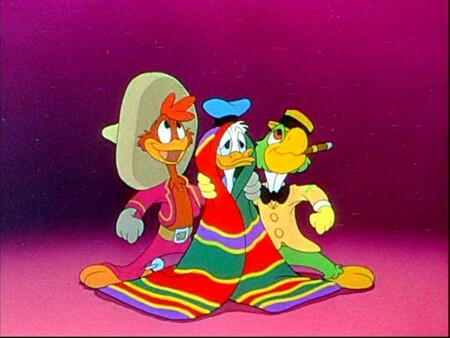 Doesn't this remind you of the Disney Three Amigos cartoon? Yeah, the guy on the far left. Lol, right?